Heading to the continent with teenagers in-tow treads that very fine line between nerve-wracking and terrifying. And not just the continent either – pretty much any holiday where you’ll be expected to entertain older kids or adolescents. Get it right and you’re looking at fun-filled family memories to last a lifetime. Get it wrong and you might be in for the kind of trip you’d rather forget. When it comes to avoiding the latter at all costs, the most important consideration of all is destination. You need to pick the kind of place that delivers exactly what you and your kids need, ideally without breaking the bank or involving difficult journeys. You need your own relaxation and enjoyment, but at the same time boredom cannot be an option. Which might come across as a bit of a tricky balancing act, but it’s not as difficult to pull off as it sounds. You’d be surprised just how many fabulous teen-friendly holiday destinations are right there on the UK’s doorstep. Contrary to popular belief, family holidays in France are not all about wine tasting, cheese eating and chateau-photographing – have a read on Brittany Ferries website to see the array of things to see and do in France. In truth, they can be as wild, wacky and entertaining as you want them to be – especially if you get it right when it comes destination choice. Basque Country is an outstanding holiday destination for all age groups. The region – which contrary to the name isn’t actually a country – extends from northeast Spain into southwest France, with both countries having their own rather different take on how things get done. What’s identical in both instances however is the region’s extraordinary beaches, spectacular food and a thousand and one activities to suit the whole family. neighbouring beaches to make the most of - Ondarreta, Zurriola and Isla Santa Clara’s beach. You might not be able to persuade a teen to take an interest in a tiny, historic chapel dedicated to Saint John the Baptist. However, show them a shot of the 231 zigzagging steps that make up the breathtaking stone bridge leading to the chapel and they might just change their mind. San Juan de Gaztelugatxe is one of the most iconic sights on the Basque Country coast and one that’s not to be missed. Far more fun than your average hike and with the kinds of views that never fail to drop jaws. 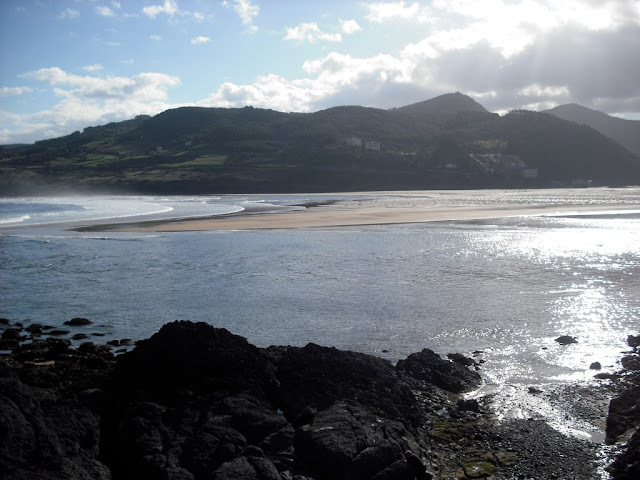 For those looking to try their luck with a wet suit and surfboard, Mundaka is one of the world’s most highly-regarded and famous surf destinations. The beautiful rocky coastline pulls in the kinds of huge and reliable waves surfers travel from all over the world to ride. It’s also famed for producing some of the longest barrel waves in the world. Mundaka itself is a wonderfully quaint and relaxing fishing village, boasting a historic harbor, enchanting medieval buildings and some of the most incredible food you will ever taste. Straddling southeast Asturias, southwest Cantabria and northern Castilla y León, the Picos de Europa National Park is home to the most incredible walking, cycling, hiking and outdoors pursuits in Spain. Not only this, but it’s also one of the wildest, most untamed areas in this part of Europe. Those who prefer lounging around and taking in the scenery will find themselves well catered-for, as will anyone looking to lap up the best local cuisine around. Nevertheless, it’s those with a taste for high-energy thrills that are most at-home here. Over in France, the southwestern Aquitaine region is packed with incredible opportunities for adventure and exploration. Famed for producing some of the best wines in the world, Aquitaine is also home to many of the most vibrant towns and cities in France – including the regional capital of Bordeaux. One firm favourite among visitors to the region is Archachon, which is split into four compact quarters named after the seasons of the year. Unsurprisingly, the most popular and famous of the beaches in the region is located in the Ville d'Été– or Summer Quarter. Plage d'Arcachon pulls in pretty huge crowds throughout the warmer months of the year, who flock in for not only the world-class amenities on offer, but the guarantee of blissfully calm and flat swimming waters. A quick bike ride will take you over to Plage des Arbousiers, which is not only absolutely gorgeous but doesn’t tend to get nearly as congested. Fancy a spot of sand surfing? Extreme kiting? Maybe even your first time paragliding? One place that ticks all these boxes and more is Dune of Pyla (Dune du Pilat). Not so much a place as it is a geographical feature, the Pyla Dune is positioned between the Landes Forest and Arcachon Bay – it’s also the biggest sand dune in Europe. Its peak rises more than 100 meters above sea level, while it extends to a whopping 500-meters in width and 1.68-miles in length! It attracts more than a million visitors every year – and for a very good reason too! You can reach the top via the 160-step staircase, or try your luck scrambling up the sand itself. For over 200 years, Biarritz has been synonymous with elegant seaside sophistication at its finest – a firm favorite among discerning holidaymakers. These days, there’s still a notable air of glamour about the place, but not to such an extent that it’s pretentious or stuffy. It’s one of the most popular and important surf destinations in the region, the nightlife is throbbing to say the least and there’s enough to keep even the most demanding teens entertained for weeks. Just a short 20-minute drive from the heart of Biarritz will take you to a nearby seaside resort that’s a different experience. It has the same beautiful beaches, the same world-class amenities and the same wall-to- wall entertainment – it’s just that things in Saint-Jean- de-Luz feel so much more laid back and relaxed. The historic Old Town is also a must for wasting a few hours getting lost and doing absolutely nothing. 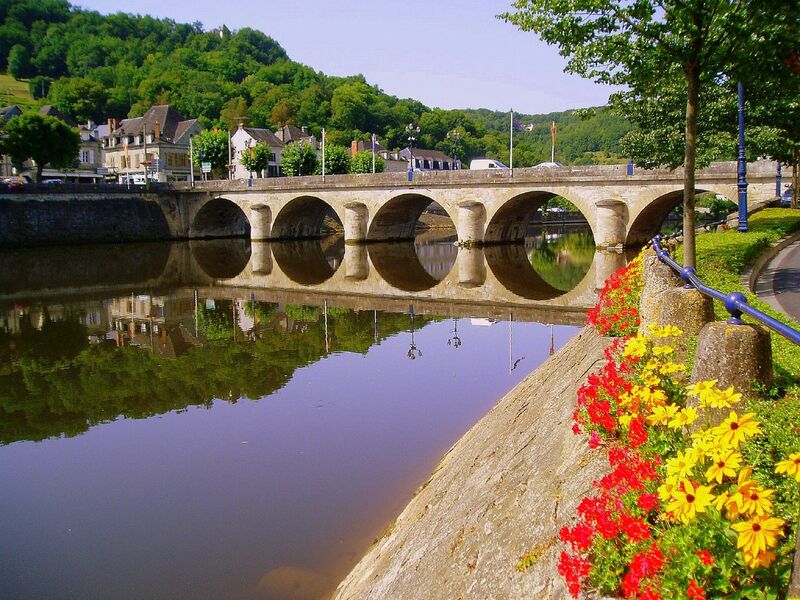 The charms of the Loire Valley are not reserved only for poets and romantics. Sure, it’s the region of wine, châteaux and the kind of countryside you’re used to only seeing in the works of celebrated artists. But at the same time, this enormous Unesco World Heritage Site is nothing less than a treasure chest of adventure and exploration, for those seeking exactly that. For example, there’s the 500-mile cycle route along the river that’s regarded as one of the world’s most enjoyable rides. 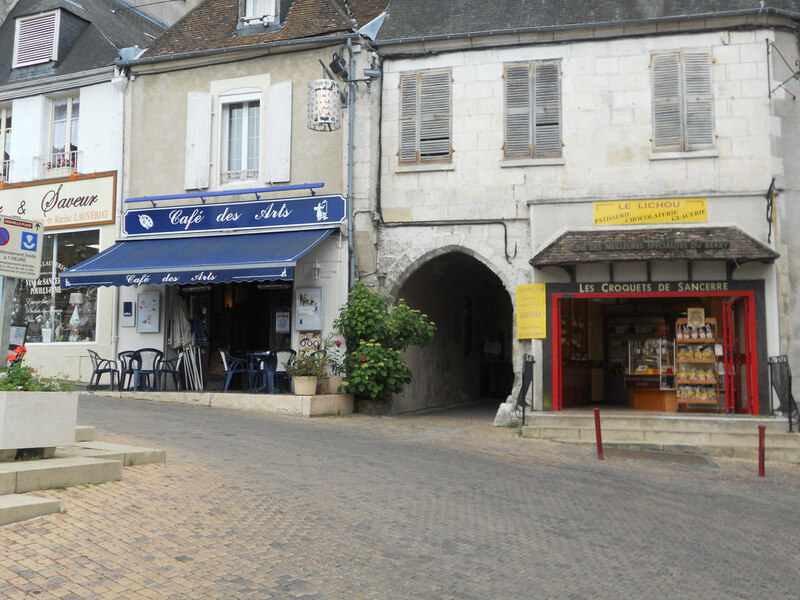 It starts out at the charming village of St-Brevin-les- Pins on the Atlantic coast, before heading on to and through the cities of Nantes, Angers, Saumur, Tours and Orleans, coming to an end at Cuffy in the Cher. Most of the route is so easy, it’s even suitable for younger kids. Or if you’re looking for something a little more elevated, there’s always the option of organizing a hot air balloon flight over the Loire Valley. The view of France’s prettiest region from the unique vantage point of a balloon is truly life-changing. the youthful energy of the city – parents might prefer to check out Angers’ world- famous collection of tapestries! We mentioned the capital of the region earlier and yes…Bordeaux would also be a very good option in the area for a teen-friendly city break. It’s the 4th most bike- friendly city in the world with over 200km of cycle paths, is a very picturesque, historic city that is a UNESCO World Heritage Site and it’s about an hour’s drive to some fantastic Atlantic Coast beaches to the west. At the beach, jet-ski hire comes very highly recommended! All of which means you get to take your pick of historical highlights, cosmopolitan city culture or the very best of beach life as only France knows how to do it. Taking a tour of the city as a whole is a must however, though this doesn’t mean traipsing round on foot. If it’s likely to go down better with the kids, hire yourselves Segway scooters, roller blades or a guide-driven trolley. Of you really feel like pushing the boat out, there’s always the option of a helicopter ride over the city. These two incredible regions of Spain and France are easy to reach via several means, though none simpler or more entertaining than overnight ferry crossings from the UK. These are absolutely the kinds of trips where you really need the freedom of your own transportation – not to mention your bikes. Wherever you choose to base yourself, the beauty of holidaying here is the option of exploring so many nearby towns, cities and points of interest. And with enough beaches to keep anyone busy for a lifetime, why confine yourself to just one or two?